PazoMall is one of the most diverse and comprehensive multi-vendor marketplaces of Kenya. 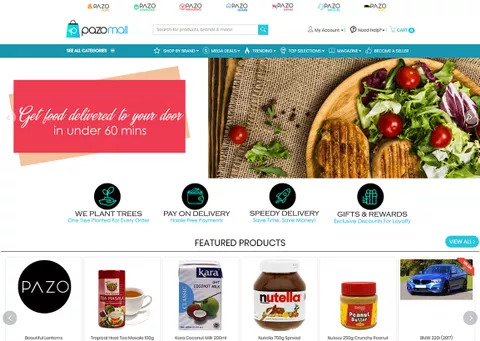 Offering a range of products and services, Pazo Mall is determined to change the E-commerce space in Kenya. This unique marketplace is the one-stop hub for everyday necessities, fashion & apparel, high-end cars, food delivery and much more. PazoMall is indeed a marketplace with a difference as it is not only about business but also about giving back to the nature that is the life force for all. Apart from catering to the needs of its customers, this portal is dedicated to the very noble cause of adding to the forest cover of Kenya. For every order they receive, they plant a tree thus proving to be an agent of change not only in the business but also the social sphere. StoreHippo, with its rich experience of powering a variety of multi-seller marketplaces for its clients’, could easily cater to the unique requirements of PazoMall.The experienced team at StoreHippo designed the exact solution for the requirements of the group. 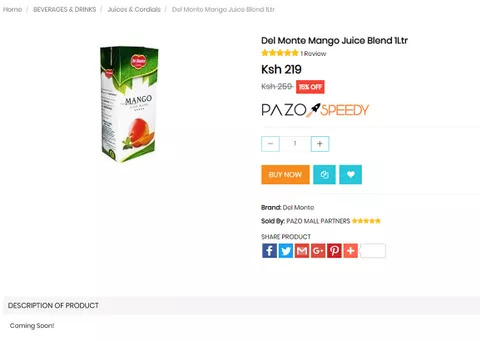 Our inherent features and tools helped PazoMall to build a marketplace with a difference and reach out to its customers across Kenya. 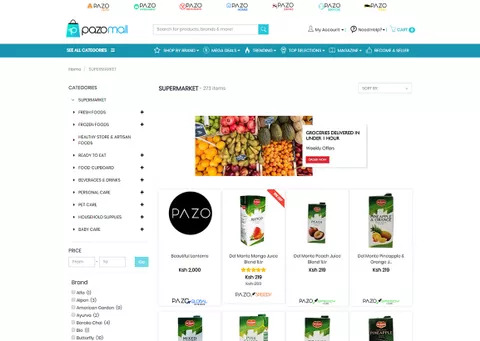 The flexible e-commerce platform StoreHippo made it possible for PazoMall to create a marketplace that had advanced multi-vendor functionalities. The brand is not just a fully functional multi-vendor marketplace but it also has the capabilities to support an affiliate network, allow partnerships, let businesses deliver or advertise using their services.